SYRACUSE, N.Y. (Democracy in Action) — For Jennifer Piekly, not voting was never an option for this year’s Syracuse election. Voting at the Huntington PreK-8 School in the Eastwood neighborhood of Syracuse, Piekly said she never misses an election. The Syracuse native believes if you don’t vote you are doing a disservice to the city. “If you vote, you get to help create change,” Piekly said. 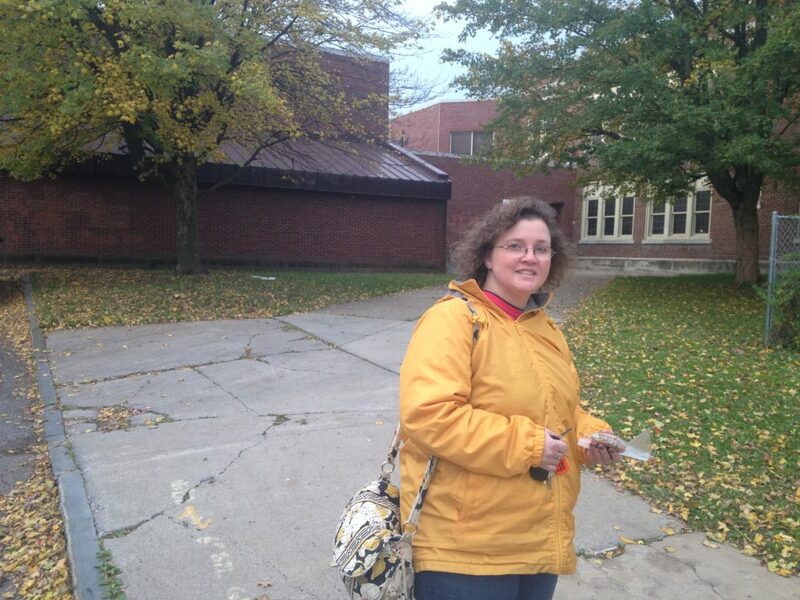 The brisk, gloomy morning didn’t stop Piekly from voting before heading off to work like she says she always does. She’s not alone, as one-by-one, Syracuse residents stopped to vote, many coming to the polls in work vehicles. The change in the mayor’s office will be come in the form of Democrat Juanita Perez Williams, independent Ben Walsh, Republican Laura Lavine or Green Party candidate Howie Hawkins. One of them will take over for the current mayor, Stephanie Miner. Piekly said the change she wanted was clear in the candidate she voted for, Ben Walsh. “I voted for Ben Walsh because of his stance on police reform,” Piekly said. During the last forum with all four mayoral candidates, Walsh said that he plans to hire more officers, which has been an ongoing debate in recent months. He also plans to cut down overtime costs and have more body cameras for the Syracuse Police Department. History can be made this election as Walsh is looking to become the first independent candidate to become mayor of Syracuse, while Williams can become the first Latina mayor. With potential history happening, Piekly is focused more on what the winning candidate will do to help her city grow. “I know a lot of people are excited for the history that can be made, but I just want to see change no matter who wins,” she said.